The dictionary defines a mother as "a female parent; one known for providing care and protection over someone else; a person who expresses maternal affection to others." My definition of a mother goes beyond the simple terms in the dictionary. Mothers are the key component in binding a family together with love, generosity, compassion and insight. Their fierce loyalty and support is unmatched. A mother encourages her children to fly by putting her own dreams aside and building a safe platform to help launch the dreams of her children. When I was a grumpy teenager, I never gave a second thought to the sacrifices my mother made to keep our family running smoothly. I took for granted every ride to band practice, every home cooked meal, the new clothes in my closet and the clean sheets I slept on each night. I never considered how she spent her time, whether she was happy or not, or if her feelings had been hurt by something I might have done. I was too deep in the throes of teenage angst to notice that I wasn't sitting alone on that bumpy ride through adolescence and anxiety. None of it clicked until I had children of my own. Being a mother altered the lens I had previously viewed my life through, and I realized how skewed my perception of my own mother had been. It changed the way I thought about myself and my family, and taught me to look a little closer at the ideals that had been instilled in me since childhood. My role in the world had been redefined, and the only person to guide me through those times of uncertainty was my mother. Patient, kind, wise and unselfish, my mother is everything a mother should be. We have disagreed, laughed, cried, and held hands through moments of unimaginable loss, yet she is always there for me, that safe harbor with its blinking light to guide me home during a storm. I've learned my share of lessons over the years after raising four children. First and foremost, my mother really DID know what was best. But I've also learned that mothers are not perfect, and that we make mistakes just like everyone else. My standards may not always meet those of my children, and undoubtedly, they'll rebel when they feel they've been treated unfairly. What they don't realize yet is how much of my heart they own, and that unkind words and actions really do hurt, even though I may not always show it. Nothing swells my heart more than their love, and yet nothing has the power to wound me more than their stinging judgment and criticism when they're angry. Until they have children of their own, they cannot understand the level of profound and all-encompassing love that parenthood brings, as well as the difficult and often painful lessons that are learned along the way. As much as I regret the days when I ignored my mother to pursue my own interests, I feel doubly blessed now to be able to spend time with her. The veil of youthful self-indulgence has been lifted, and I see my mother for who she really is; a woman of faith, wisdom, strength, compassion and abundant love. She is, and always has been, my shelter, my proudest supporter, and the one person who has loved me unconditionally, no matter how many times I let her down. When people say that I remind them of her, I'm honored. Being compared to the woman I'm so proud to call my mother is the best compliment I could ever receive. I hope that one day my children will think of me in the same way, and no matter how many trials they may face in the future, that they'll always feel my love shining through them like a beacon in a storm. Well said, how nice your mom can read this. Thank you, Joeh. I plan on giving her a copy of this on Mother's day. Amazing post. Makes me miss my mum even more! I feel very fortunate to still leave my mother---she is 86 and going strong! Right there with you---those teen years are rough!!! Thank you Janine, and Happy Mother's Day to you, too! THis is just gorgeous, sister. Beautiful essay, Marcia--heartfelt and true. Beautiful mother and daughter! Enjoy your special day. Thank you so much, Beth! Enjoy your day as well! Lovely tribute and I now understand exactly what you're saying about not appreciating all the million things a mother does, feels, knows until becoming one myself. I have never leaned on my mother more - truthfully we weren't very close for a while. But right now she is a fantastic grandmother and supportive person for me as I navigate new motherhood. Isn't it amazing how quickly our perspective changes once we have children of our own? Beautiful tribute to a wonderful woman. 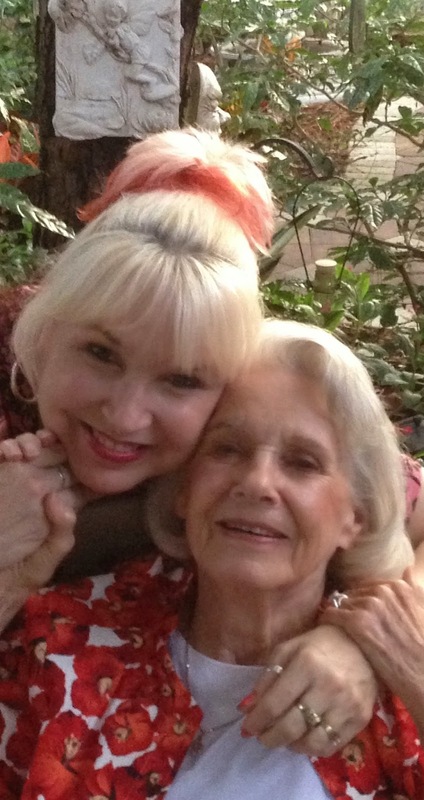 It is funny how little I appreciated my mother at various points in my life - I was so focused on myself. I see things differently now, of course. I wonder if we can reach this place even without becoming mothers ourselves ... I imagine we can, as we grow and realize the sacrifices others have made for us. I think so, too. Even without having children, just going through some of the hardships of midlife would bring a deeper appreciation of our own parent's struggles. That was beautiful Marcia! I am sure that your mother is so proud of you and all that you have accomplished. One day the kids will get it too...I hope, won't they? Thanks, Rena! I'm praying that one day they'll understand. Thanks for sharing with us. Children take us to all the places in our hearts. Beautiful. You're so lucky to have your Mom still with you! Thanks you, Jennifer. Yes, I consider myself VERY blessed to still leave her. She is a very healthy 86 yr. old and I am so proud of her. I don't think it possible to truly appreciate our parents until we have kids of our own. I totally agree with you, Stephen! Such beautiful words and reflections. Thank you so much, Ali. I can't wait to have my mother read it! I'm so grateful to still have my mom once I've reached a point when I can really appreciate her. It makes me so sad to think of all the people who lost their moms before they were able to say these things. Right? I feel so blessed to still have her here with me. This is a great tribute to your mom. I do understand more now. I don't think I will ever have that close of a relationship with my mother because that is just not who she is. But, she was strong to do everything she did for our family. I think it's nice that you have a positive way of looking at it. I'm certain they already think of you that way Marcia. This is so lovely. And the pictures are definitely a wonderful bonus! Thank you for writing (and sharing) this, Marcia! My favorite post you've written. Such a beautiful tribute to your mom! Have a wonderful weekend. Wow! Thank you! Have a great Mother's Day with your family! That's a lovely tribute to your mother - She's a beautiful lady and it's clear to see you don't fall far from her tree! Happy Mother's Day! That's so sweet of you to say---thank you! Just wanted to come here to add that this piece made me realize how much the grudges I bore against my mother were such complete wastes of precious life. Never too late to learn that lesson because yeah....we're still disagreeing but we don't have to give each other the silent treatment. For three months! Mother/daughter relationships are so very delicate. I love the way yours seems woven so intricately tight! This is Stephanie (little miss meno) by the way, in case it posts oddly. I truly hope you and you mother will make amends soon. It really can be such a fragile relationship. Hugs! In the second picture down, you and your mom look so much alike!! I agree with everything you said here... only for me it was my grandmother. :) Hurrah for that beacon of light that never lets us get too lost. :) I hope you let your mom read this, and I hope your kids read it too. ;) Happy Mother's Day! Such a perfect pots for Mothers Day. From what I have read on your blog you are a terrific mom, and it sounds like your mom is too! I sent my mom flowers for the day, and now I'm calling her. You're a good son, Phil, and I'm betting you make your mama proud! I really think it takes having children of our own to gain a deeper appreciation for what our mothers did for us. Is that your mom in the wedding photo? What a lovely tribute to your mom! She looks like a famous actress! You will no doubt inspire the same in your children, Marcia. Hope you had a wonderful weekend celebrating Mother's Day with your kids and your mom!! Thank you! We had a wonderful holiday together---there is nothing better than being with all of my family around me. Absolutely beautiful, Marcia! I feel I already know your mother through you. 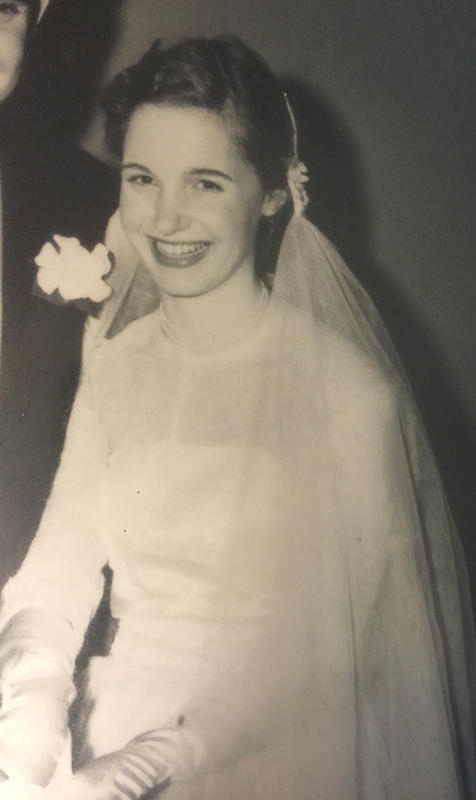 I lost my Mom just when I was beginning to realize just how much I owed her. I will tell her one day! Thank you for this! I'm so sorry to hear that you lost your mum! I didn't realize that. I'm sure she is looking down from heaven at you right now with a big ol' smile on her face, because she is so proud of you!